(WMAZ, WMGT) The Fuller Center for Housing of Macon began repair work on its very first Save a House/Make a Home project on the Dr. Martin Luther King Jr. Holiday on Monday with the help of many local volunteers, including a sizeable group of Mercer University students from LEAP (Local Engagement Against Poverty). The Macon FCH is taking a donated 1920s-era home that had been rented out as a duplex and turning it into a home for the West family. "Macon is a great place for Save a House because there are so many homes that are empty now that need a family to live in them, and we have so many families that need a good home," said Dianne Fuller, who leads the Fuller Center for Housing of Macon. "By renovating this house, we’re also helping to transform this street and further out in the community." "I would love to see it on more streets and in more neighborhoods," said Barbara Penniman, who lives next door to the vacant house and is a second cousin of Macon native Richard Wayne Penniman, better known as rock and roll legend Little Richard. "Wherever the work is done, it will look better and will be better all the way around for the whole neighborhood — this street and others also." Save a House/Make a Home is a nationwide Fuller Center initiative to help its covenant partners receive donations of vacant homes in need of repair and turn them into good homes for partner families, whose zero-percent-interest mortgage payments go into a revolving fund to help other families become homeowner partners. 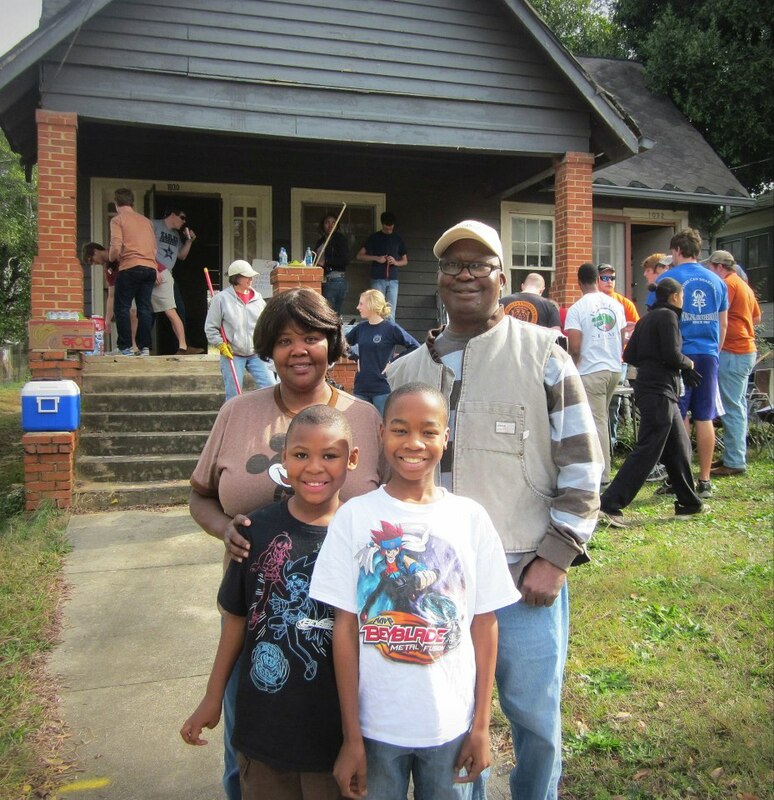 Click here to donate to the Fuller Center of Macon and help complete this Save a House/Make a Home project. Your donations will help complete this project and help fund future Save a House efforts in the city. Click here to see WMAZ-TV’s coverage of the work day.